Yulia Skripal was also injured in the poisoning. The daughter of a former Russian double agent who was poisoned in the UK this year said in her first interview since the attack that her "life has been turned upside down." "After 20 days in a coma, I woke to the news that we may have been poisoned," Yulia Skripal told Reuters in an interview published today, more than two months since she and her father were attacked with a nerve agent in Salisbury, England. "I still find it difficult to come to terms with the fact that both of us were attacked in a such a way. The fact that a nerve agent was used to do this is shocking." British authorities have said Russia was responsible for the poisoning that left Skripal, 33, and her father Sergei, 66, in critical condition. (Dylan Martinez/Reuters) Yulia Skripal, who was poisoned in Salisbury along with her father, Russian spy Sergei Skripal, speaks to Reuters in London, on May 23, 2018. "We are so lucky to have both survived this attempted assassination," Skripal said. She had previously issued a written statement but had not granted any interviews with reporters. 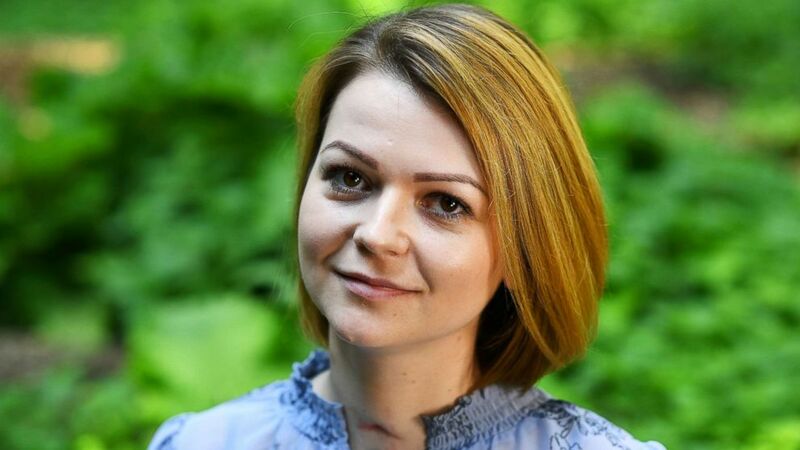 "I was discharged from hospital on April 9th and continue to progress with treatment but my life has been turned upside down," Skripal said in the interview. "As I try to come to terms with the devastating changes thrust upon me both physically and emotionally, I take one day at a time and want to help care for my father until his full recovery." Her treatment had been taxing and her recovery difficult, she said. "I don't want to describe the details but the clinical treatment was invasive, painful and depressing," Skripal said. "Our recovery has been slow and extremely painful." Skripal was filmed in an undisclosed, wooded location that Reuters said was in the UK. She said she hoped to return to Russia but, as she said previously, she added she did not want Russian consular help. "I'm grateful for the offers of assistance from the Russian Embassy but at the moment I do not wish to avail myself of their services," Skripal told Reuters.